Knights of Creativity Spirit & Ale: Corps (Core) of Success? One of the things I love about the Knights of Moleskine, Spirit, and Ale blog is that a post on one subject can spark ideas that lead us in a completely different direction. 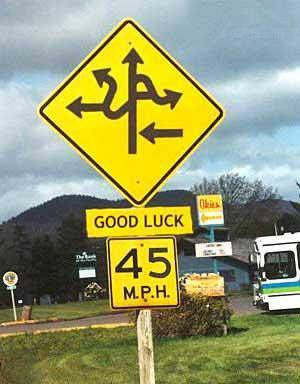 It is sort of like that famous Yogi Berra quote, “When you get to the fork in the road, take it.” We tend to take off on some very interesting and unexpected paths from time to time. Sir Dayvd’s post the other day about the Clark’s Nutcracker (Sunday, April 5) is a perfect example of taking the fork. That post got us talking about birds in general, the brain, Audubon State Park in Kentucky, the Wabash River Valley, Vincennes Indiana, Clark (of Lewis and Clark fame), which got us talking about the Corps of Discover, which lead to Sir Dayvd making the comment: I like the phrase Corps of Discovery!!! The KMSA needs a Corp of Discovery. 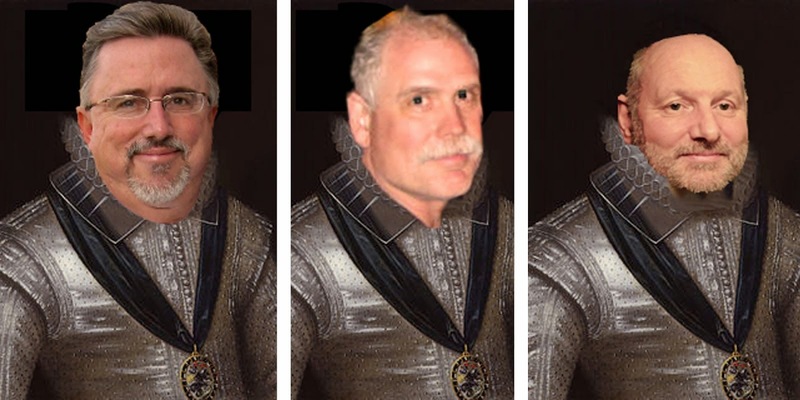 The KMSA needs a Corps of Discovery. Interesting. That got me thinking about our own personal journeys. Each day we start out bold and brave on our “journey” in which we have little idea of where exactly we will end up. Along the way, we keep journals, take and save pictures, and seek the assistance of people who know more than we do in order for us to survive and thrive. We are our own “Corps of Discovery”. Meriwether Lewis and William Clark were two men who loved a challenge and seemingly feared nothing -- boldly going where no man had gone before -- at least where very few Europeans had left a footprint. Of course, they prepared themselves and their army very well for the challenge, but once out in the great unknown they had to depend on their life experience, unique creativity, and their fellow man and woman. 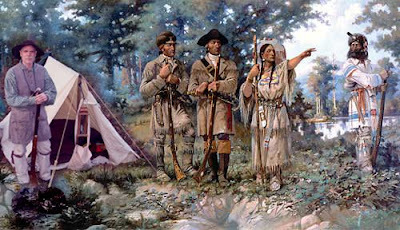 The story of Lewis and Clark is a lesson of overcoming tremendous obstacles. Perhaps the biggest obstacle was the willingness to look to the horizon of the unknown and endeavor to be bold enough to take the first step. And what happened when they reached that horizon? Well, they discovered that there was always another horizon (goal) -- and they moved forward. Maybe that’s the Corps (core) of Success? May your journey today truly be one of discovery. Every day we head out into the big bright world and every night we "hunker down" with our fellow seekers under the big dark sky, glistening with stars...never knowing what the minutes and hours will bring us but stepping out in love and faith. We don't know the count of minutes we have left to us, and with hope each morning we wake up and greet the light with a "thank you!" I love how Sir B positioned himself with the rest of the Discovery Corp. He is my inspiration to venture into the unexplored territory of love at this point in our lives together; always growing, always changing, together. Well put there Backwoods Bowster.. Good blog... Love the Photoshopped YOU in the old pic, nearly had me fooled, thinking it was Grandpappy Kuhn. I love signs or phrases that innocently combine two words that you normally wouldn't see together. In my time in the US..I was fascinated by the Mason -Dixon Line between PA and MD, and the effort that the two of them put into mapping their way through the forests of the Iraquoi. So with the Ohio four setting off to the UK in the summer as a Corp of Discovery.. i'm getting itchy feet to organise some kind of boomerang trip myself. Now you're talking Sir D...we'd love to show you around! As Sir Bowie linked the thought chain, I would hardily agree. The Corps of Discovery is directly related to the Core of Success! 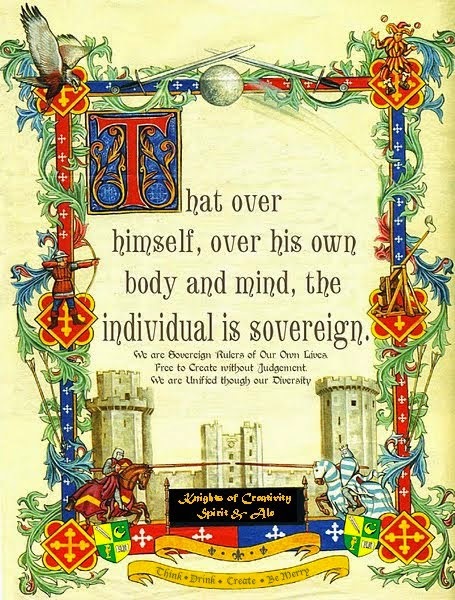 Enthology...as a Corp of Discovery by this humble Knight...also fits this way of living....ENDEAVOR TO ENGAGE!